Roger grew up in South Dakota and is a graduate of the University of Wyoming College of Law. 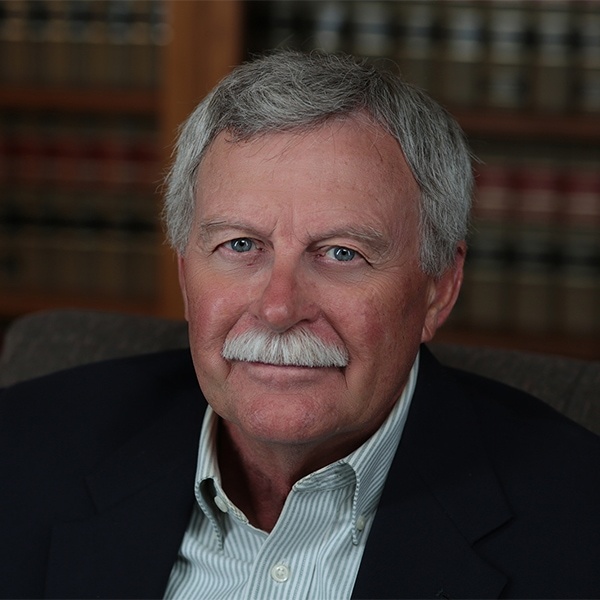 He has lived and practiced law in Cheyenne since 1983. Prior to coming to the firm, he served as Director of the Wyoming Office of Administrative Hearings. He also served on Governor Michael Sullivan’s staff and as a Senior Assistant Attorney General for the State of Wyoming. As Of Counsel, Roger provides assistance to the firm’s partners in various matters involving administrative law, including representation of regulated utilities before the Public Service Commission of Wyoming and civil litigation and appeals in both state and federal courts. Roger and his wife Bonnie enjoy spending time with their children and grandchildren. He enjoys upland bird hunting and fly fishing. University of Wyoming, College of Law, Laramie, Wyoming, 1983 J.D. South Dakota State University, Brookings, South Dakota, 1971 B.S.